If you want to give your beloved a piece of jewelry for Valentine's Day, you should stick with a timeless design—that’s what 72 percent of British consumers consider important. More than a third even attach great importance to choosing a one-of-a-kind item. Those are the results of Messe Munich's INHORGENTA trend index 2018, which analyzed a representative sample of 1,025 consumer responses in the United Kingdom. "Our survey showed that combining a classic design with a personal touch offers bright prospects for making your sweetheart happy on Valentine's Day,“ said Stefanie Mändlein, exhibition director of INHORGENTA MUNICH. An ingraving or a gemstone in a favourite colour can add that individual touch to a piece of jewelry. "At the INHORGENTA Munich in February, our exhibitors will present a wide range, from classic design to individual coloured stones for the season." When choosing a gemstone, fashion-conscious consumers take inspiration from the colours of the season on the catwalks of New York, Paris and Milan. Still: "Valuable gemstones always bring joy to their owners, regardless of current trends and the fashion of the moment," said Mändlein. The survey shows: 70 percent of British consumers are convinced that diamond jewelry will be as popular in the future as now. At present, 60 percent consider it important that necklaces, rings and the like are made of valuable materials such as gold or diamonds. In order to increase the personal appeal of a gift, it should be given on a special day: 52 percent of British recommend that jewelry be gifted on a special occasion to raise the emotional value. Both women (55 percent) and men (50 percent) agree. 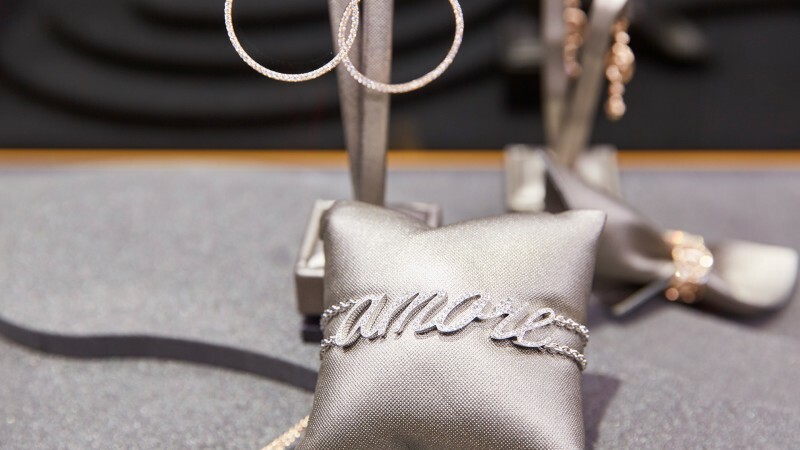 When it's time to treat yourself to something special, a trip to the jeweler's can do the trick: 50 percent of consumers buy jewelry or watches as a gift to themselves—42 percent give jewelry as a gift to others. For the Messe München's INHORGENTA Trend Index 2018 a representative survey was carried out in September 2017 with a total of 4,000 consumers in Germany (N=1,060), Great Britain (N=1,025), Switzerland (N=1,001) and Italy (N=1,118). The survey was conducted by a market research institute on trends in the watch and jewelry industry. From 16 to 18 February 2018, the entire world of jewelry, gems and watches will be presented at the INHORGENTA MUNICH. Along with manufacturers, designers and wholesale jewelers, the trade fair is successfully engineering the future of the industry. Around 1,000 exhibitors from 40 countries as well as around 30,000 retailers from over 70 countries will be featured on an exhibition site of 65,000 square metres.